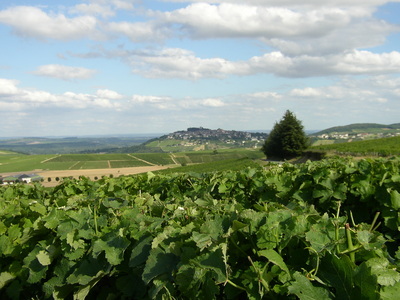 2007 Sancerre - James W. Lett, Ph.D. These photographs and notes are from our three-week trip in July. We spent most of the time studying French at the Coeur de France Ecole de Langues in Sancerre, and then returned to Paris for a final night at the Hotel de Crillon. 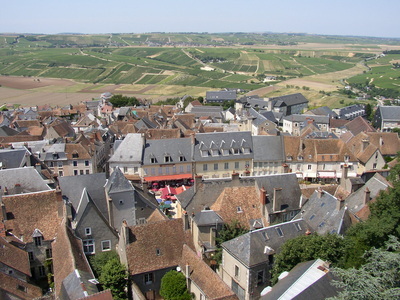 The hilltop town of Sancerre is located in the center of France, overlooking the Loire River and surrounded by vineyards. 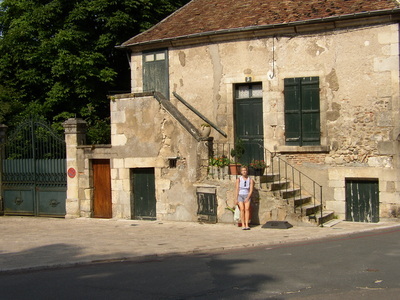 The Coeur de France Ecole de Langues is located in La Thaumassière, a XVIth century mansion a couple of blocks from the center of town. 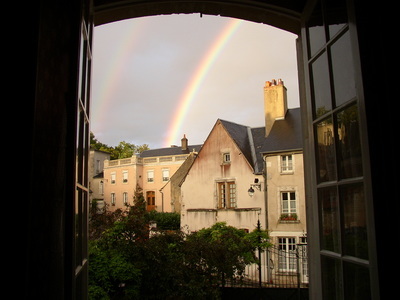 The classrooms are on the ground floor, and our apartment was on the second floor. 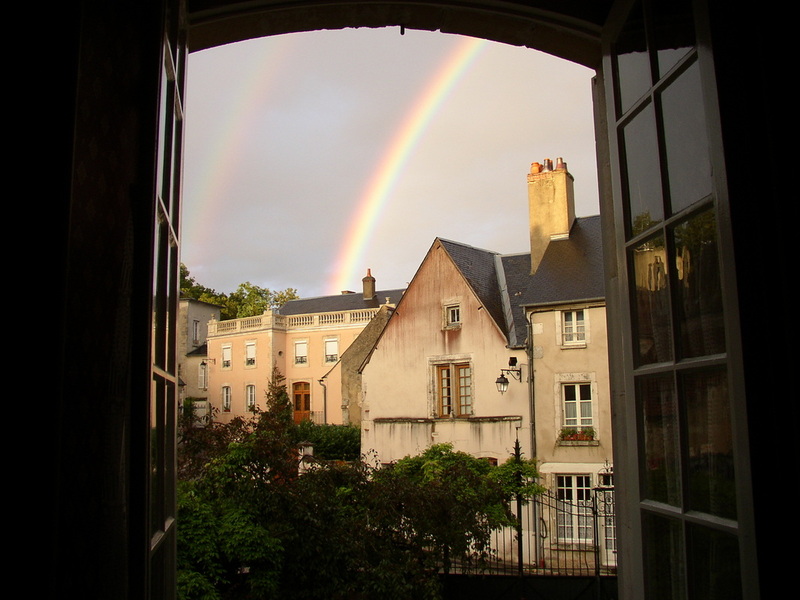 This was the view from the dining room window in our apartment on the second floor of La Thaumassière. It was relatively cold during the first two weeks we were there (daytime high's in the 50's), and it rained frequently, but rarely throughout the day--the sun could generally be counted on to make an appearance at some point during the morning or afternoon. 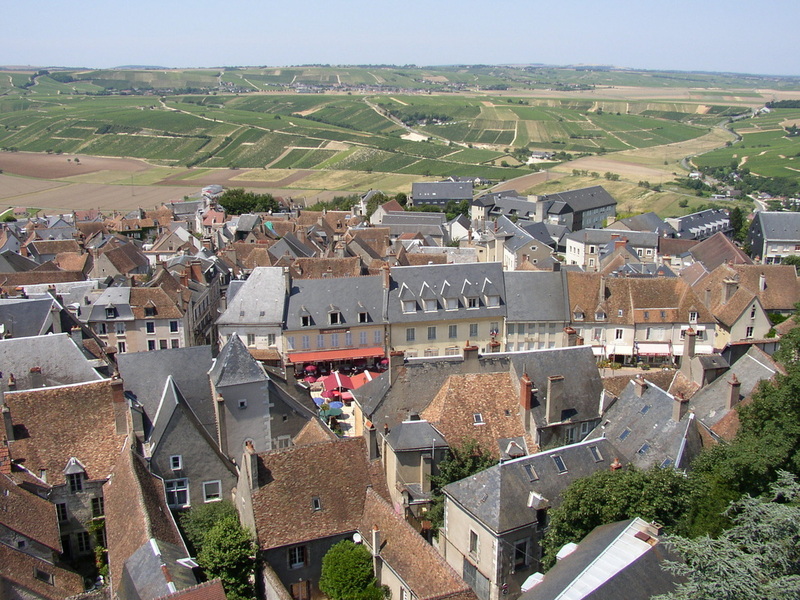 This is the central square in Sancerre, where most of the restaurants and cafés can be found. 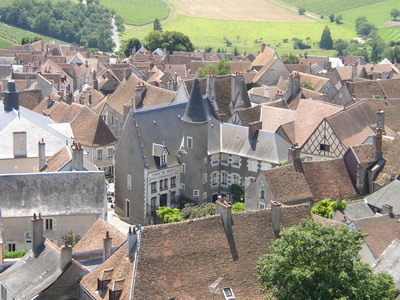 The view is from the top of the Chateau de Fiefs, a 130-foot-high round stone tower that's all that remains of the medieval castle that once commanded the valley from the crown of the hill. 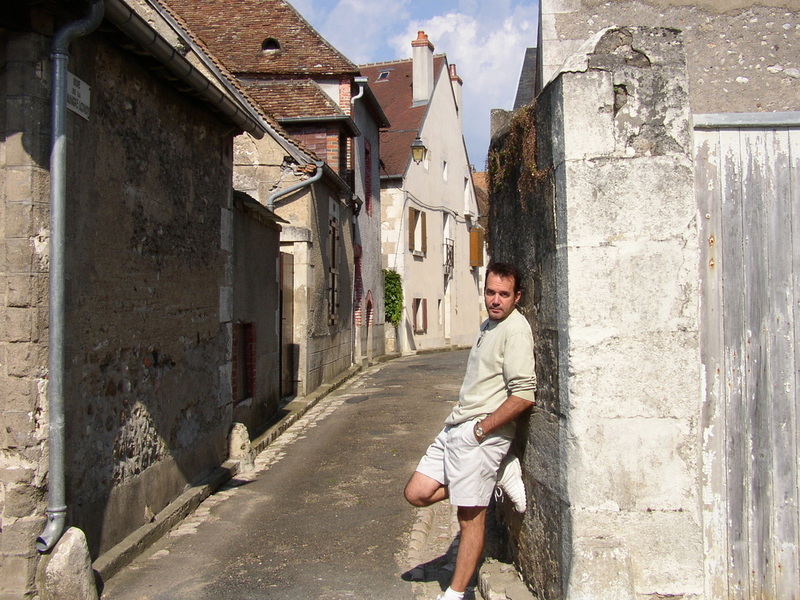 Sancerre still has many stone houses from the 15th and 16th centuries, and the narrow cobblestone streets have changed relatively little in hundreds of years. 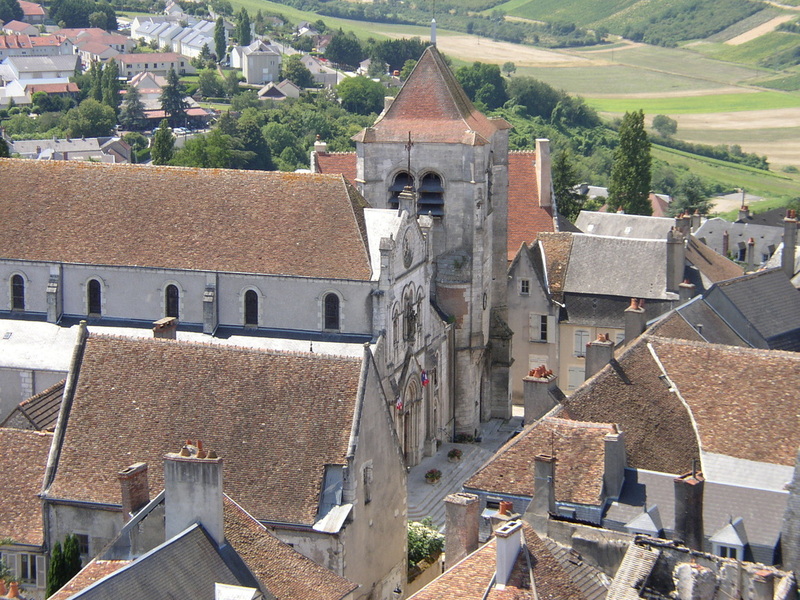 The bell in the church tower rings on the hour 24-hours a day, and can easily be heard throughout the town. The square in front of the church includes a handful of small shops that we visited regularly. 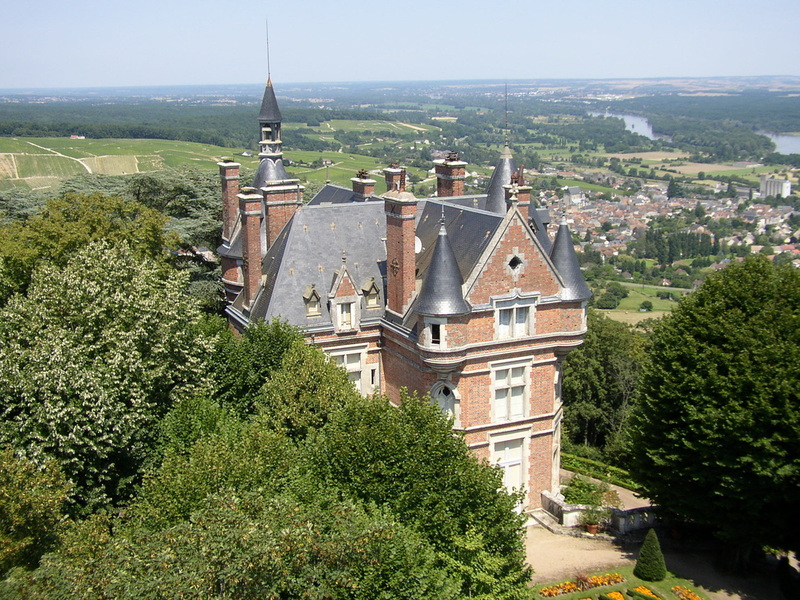 This private 19th century chateau sits at the highest point in Sancerre, surrounded by acres of wooded grounds enclosed by a high stone wall. 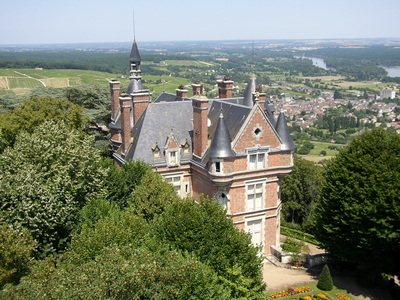 The owners have a stunning view of the village of Saint Satur and the Loire River in the valley below them. This is fairly typical of the houses in Sancerre--small and antiquated with a hidden garden and an abundance of charm. 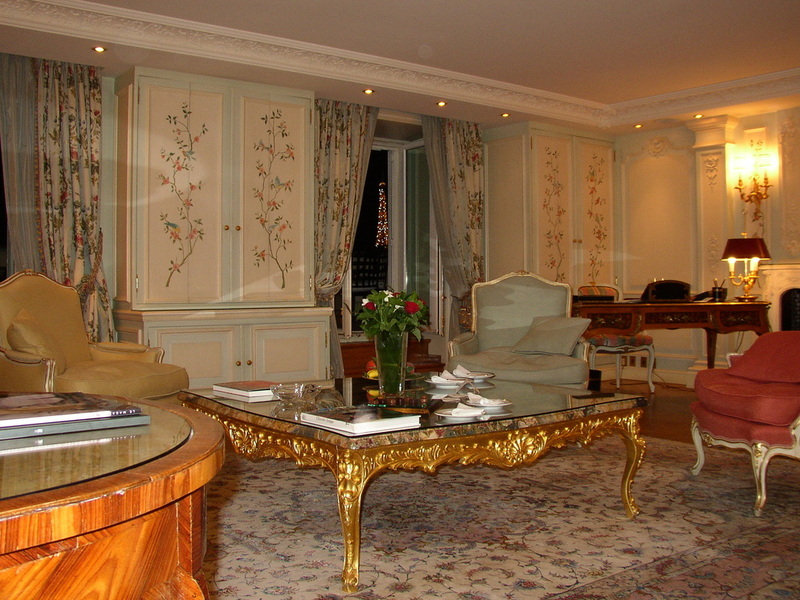 Thanks to a fortuitous upgrade, we stayed in the fabulous Louis XV suite on the top floor of the Hotel. 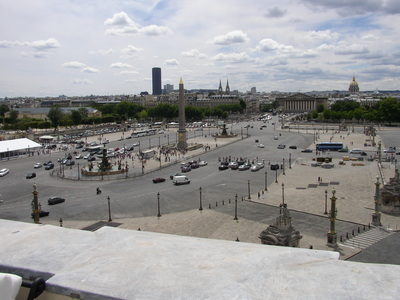 Our rooftop terrace overlooked the Place de la Concorde. 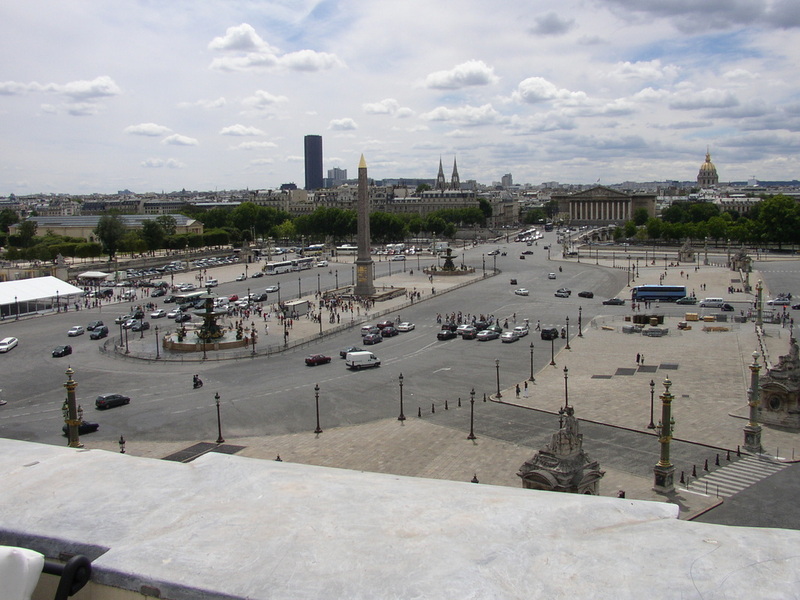 The view from our suite at the Crillon included many of the prominent monuments of Paris (including the Eiffel Tower, visible here in the open window in its nighttime illuminated splendor). We've always loved this famous photograph of a supremely self-satisfied young boy on the streets of Paris, taken by Henri Cartier-Bresson in 1952. I find this image of Teresa, taken on the streets of Sancerre in 2007, to be equally charming.